Well, Stone Crab season is here and underway; it started on Monday and runs through May 15th! 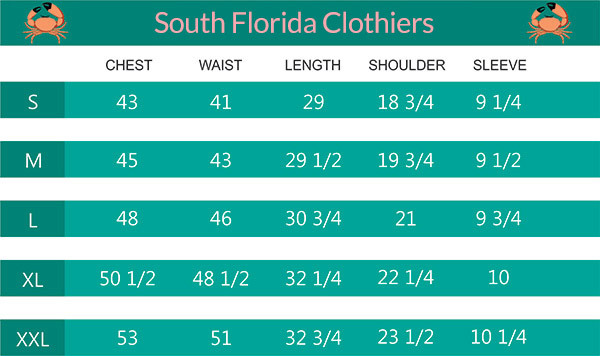 If you recall last year’s South Florida Clothiers South Florida Friday Fun Fact, we were concerned at the start of that season because of possible after-effects of Hurricane Irma. Unfortunately, our fears were realized. Last year’s harvest was well below average at about 2.2 million pounds (average since 2011 has been about 3.7 million pounds). The season ended barely higher than the historically low 2013-2104 season that harvested just under 2 million pounds. Reports from the industry were that the massive storm that swept the length of the peninsula drove the crabs far from shore. Whereas stone crabs are usually found around 5 miles offshore, in this case they wound up located 20-50 miles offshore. There are potential issues this year too, with Hurricane Michael having just landed in the panhandle and red tide in various waters around the state. But it’s not all bad news. Although the effects of the red tide remain to be seen, many stone crabbers will tell you that historically, seasons that occur after a large red tide have been a bonanza. And, in case you are wondering, and I know we were, stone crab claws are NOT tainted by red tide. So we call all look forward to eating our fill. We’ll have to wait and see. So far this season it looks like crabbers in the Gulf are off to a slow start, whereas crabbers in the Keys are having a great first week (there is no red tide in the Keys at this time). But any experienced crabber can tell you that can all change in an instant. So we here at SFC are crossing our claws and hoping for a great season! Good luck to our fleet, we are all counting on you, as is the country. After all, Florida annually supplies 98-99% of all Stone Crabs in the United States!